Kristen and Krsto got engaged last summer while visiting Krsto's extended family in Komiza, Croatia. They spent the day riding around the island on scooters and stopping at picturesque beaches. When they reached the highest point on the island, Krsto was jittery with nerves, Kristen noticed that he was acting strangely, but didn't suspect anything. When he got down on his knee on that stunning cliff overlooking the water, it was the best surprise she'd ever received. We met up with Kristen and Krsto at Back Bay in Newport Beach, CA. It was the most beautiful day of that whole week. We were thrilled that the sun came out and we got to play with the light and enjoy the blue skies. Even though the clouds came out and covered our sunset, we still got some striking portraits. 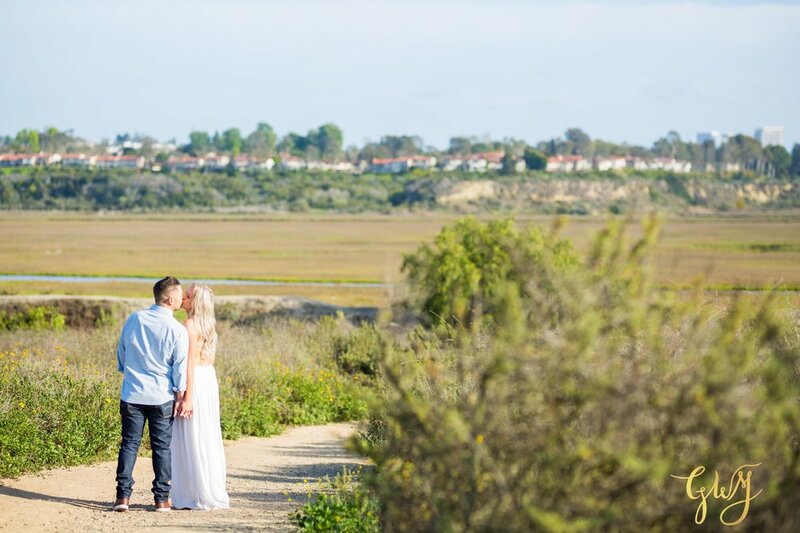 Kristen and Krsto are getting married next May in Temecula, CA and we cannot wait to share that day with them!